Vanguard Software is a predictive analytic system with industry leading Integrated Business Planning platform that leverages both predictive analytics and artificial intelligence. It’s collaborative, web-based platform unites roles, teams, and departments in achieving breakaway performance within their Supply Chain Planning, Integrated Business Planning (IBP), and S&OP processes. 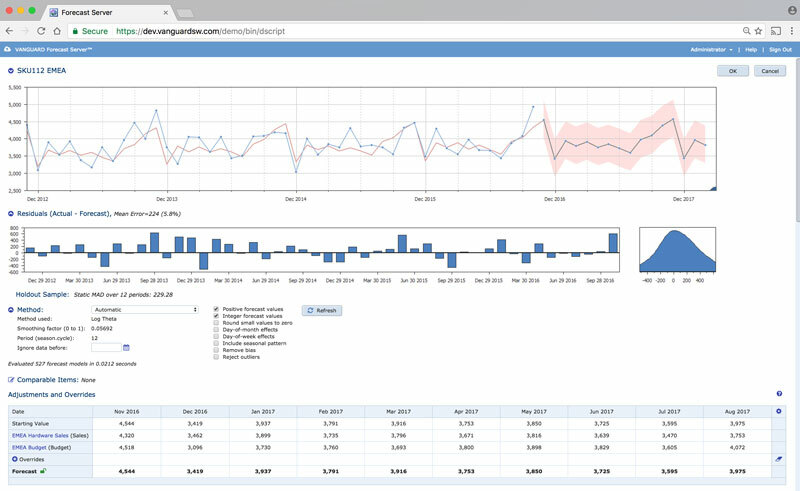 Vanguard Software introduced its first product for decision support analysis in 1995. Today, thousands of companies across every major industry and more than 60 countries rely on Vanguard forecasting and analytic solutions. This global presence stems from their commitment to technical innovation, customer support, and responsible management. From the most accurate forecast benchmarks on record to the first commercial Monte Carlo simulation grid, Vanguard Software remains at the vanguard of innovation. Vanguard IBP cloud is an integrated business planning (IBP) solution that unites all lines of business on a single platform. 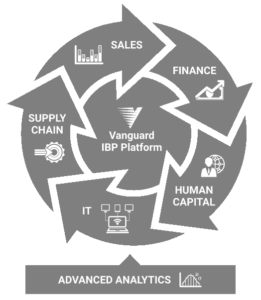 Vanguard IBP puts your entire enterprise in a real-time, collaborative workspace. Here, advanced analytics and advanced automation join forces to deliver streamlined precision in budgeting, planning and forecasting, plus the transparency and collaboration flow for unrivalled market agility. It takes competent supply planning to get products to market at a profit. It takes optimal planning to out-deliver the competition. This means knowing when, where and how to replenish raw materials, schedule production, deploy sales resources, and balance both demand and supply and liquidity needs with capital investment. Watch our recorded webinar and software demo to learn the value of Integrated Business Planning (IBP), and how a unified cloud platform combines sales, operations and financial planning. White Paper: Are you sure about that? Interested in learning more about how Vanguard Software can benefit your business?